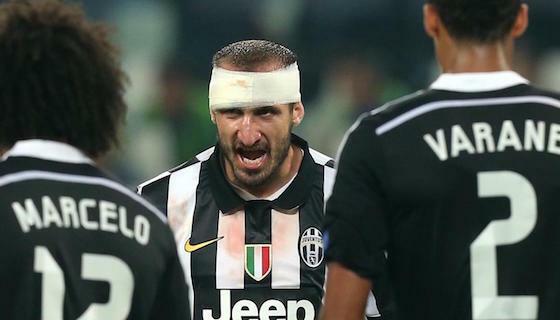 Win a Champions League night: Juventus - Dinamo Zagreb as Giorgio Chiellini’s Special Guest! You missed the campaign? Stay up-to-date with our newsletter for new awesome experiences! i have a big surprise for all of you! Champions League nights are my favorite challenge: great competition, epic battles, unforgettable emotions. This time though… it’s your turn to take stage and enjoy a unique experience! 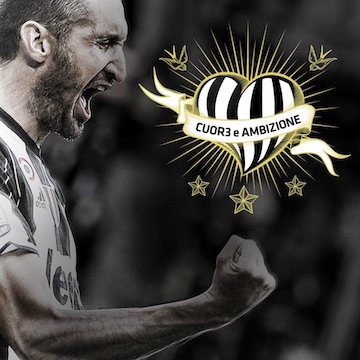 You and a friend will fly out to Turin to attend Juventus - Dinamo Zagreb from VIP seats! Yes, you heard it right. You’ll enjoy the unique atmosphere of the glorious Juventus Stadium right from my reserved seats! But that’s not it.. Right after the match, it will be time to meet each other and spend some time together! Plus, i’ll give you two authentic autographed jerseys and have them signed by my teammates that you’ll stumble upon in the Family Room. And to top it off..loads of pictures and selfies to capture the emotions of this epic night! How to grab this unique chance? All you need is a 5 euro donation in support of Insuperabili Onlus, the football academy for children with disabilities that allows kids to pursue their passion in a safe and enjoyable environment. Thanks to your donation, you’ll receive exclusive gadgets and experiences and you’ll enter the competition to win an unforgettable night as my special guest! Are you ready to catch your dream? Together, we can make a difference! I’ll see you in Turin. Football is passion and fun. Football is companionship. Football is team spirit and will to grow together. Football belongs to all! 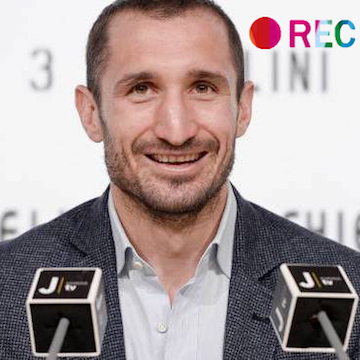 That is why Insuperabili Onlus teamed up with Giorgio Chiellini and took the field to overcome the barriers of disability and promote an educational project focused on Football that involves kids with cognitive, relational, and affective-emotional disorders. Football thus becomes a tool of growth and total integration for disabled kids within the society where they work, study and practice sport. A real Football Academy, where young men can grow in a safe and stimulating environment, while sharing education values and true passion for sport. Your contribution is crucial: thanks to you, Insuperabili’s dream can come true! 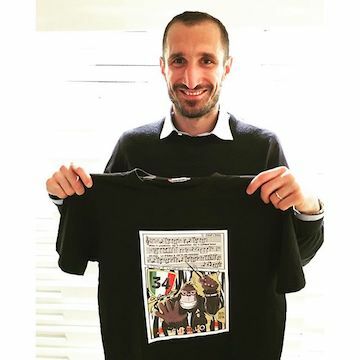 > Get the Limited Edition TSHIRT of the Giorgio Chiellini campaign. 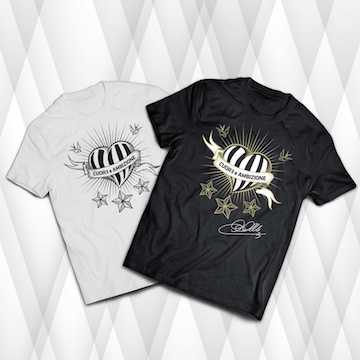 > Get the Exclusive Limited Edition T-SHIRT personally SIGNED by Giorgio Chiellini. > Get the BIOGRAPHY of Giorgio Chiellini, SIGNED with inscription plus all the other digital rewards (Gift Card Digital Photo and Fan Kit). 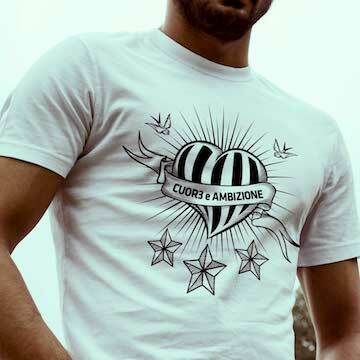 > Get the Championship T-Shirt for the 34° Juventus Scudetto. 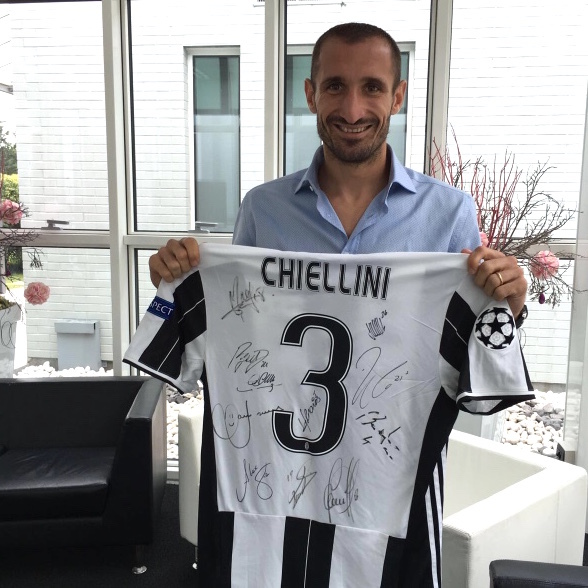 > Get the exclusive Collector Jersey WORN by Giorgio Chiellini in Juventus - Sevilla, first match of UCL 2016/2017 Group Stage played on September 14, 2016 in Turin. 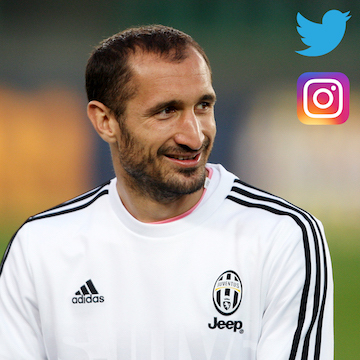 > Meet GIORGIO CHIELLINI and other Juventus FC players after the training session. > Flight fare and 4stars hotel accomodation for 1 night INCLUDED! 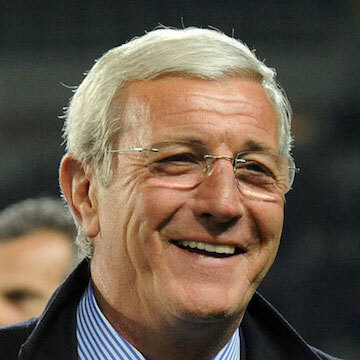 > Get 2 EXCLUSIVE SEATS at a VIP PRIVATE dinner with Giorgio Chiellini and Marcello Lippi! You’ll enjoy an unforgettable night out with two Bianconeri myths in an exclusive starred restaurant. 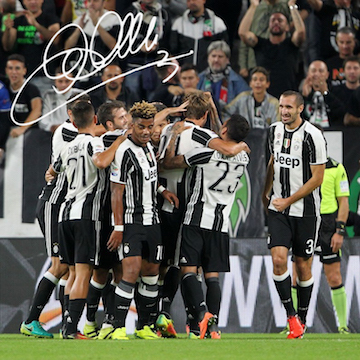 At the end of the dinner, you’ll capture this unique moment with a group photo that will be posted on Giorgio Chiellini official Facebook and Instagram accounts.